home / Multimedia / The Holy Land in news / Art and solidarity: an exhibition in Bologna in support of the .. 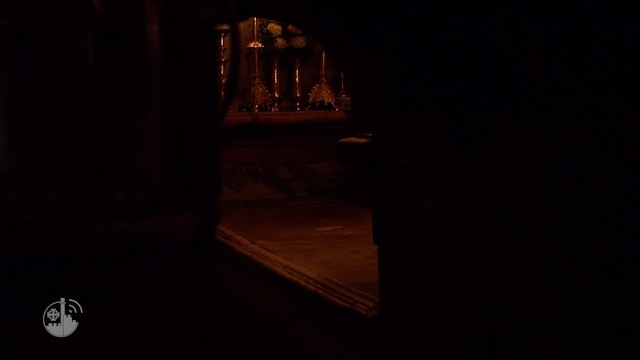 It is entitled “He did not seem an image that is silent. 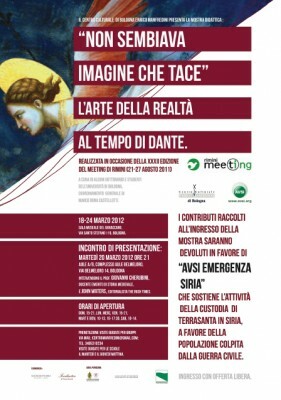 The art of reality at the time of Dante” − an informative exhibition prepared for the XXXII Rimini Meeting held in 2011, and now being presented at the “Enrico Manfredini” Cultural Center in Bologna. The curators and organizers of the exhibition have decided to add an element of solidarity to the exhibition’s educational aspect, by donating all of the contributions raised during the exhibition in favor of Emergency Syria, in order to support the works of the Custody of the Holy Land in that country which now finds itself in the throes of a civil war. The exhibition can be visited from 18 to 24 March in Bologna at the Sala Museale del Baraccano, Via Santo Stefano 119. The meeting to present the exhibition will be held on Tuesday 20 March at 21.00 in rooms A/B of the Complesso Belmeloro, Via Belmeloro 14. Opening hours of the exhibition are: Sunday 15.00-21.00; Monday, Wednesday and Friday 15.00-21.00; Tuesday and Thursday 10.00-13.00 and 15.00-17.30; Saturday 10.00-14.00. Reservations can be made for guided tours for groups: contact centromanfredini@gmail.com.